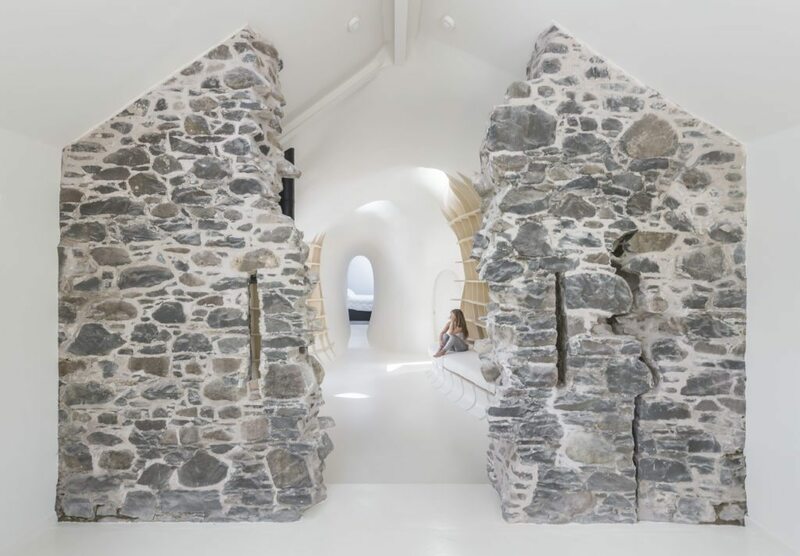 I don’t know about you, but I absolutely love it when something very old can be made anew. 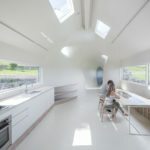 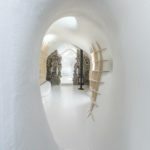 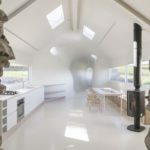 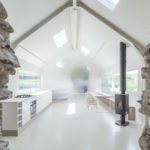 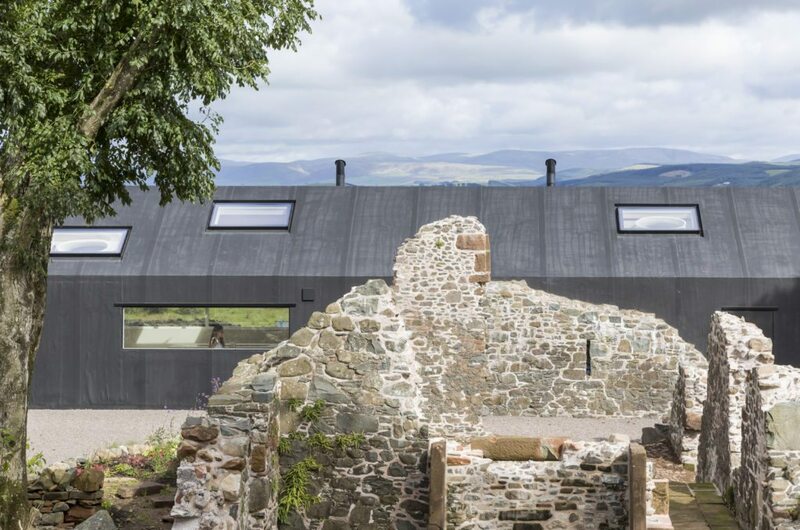 So you can imagine my excitement when I saw this 17th century Scottish farmhouse that was in ruins and has been remade through the brilliant teamwork of Lily Jenks, Pati Santos and Nathanael Dorent. 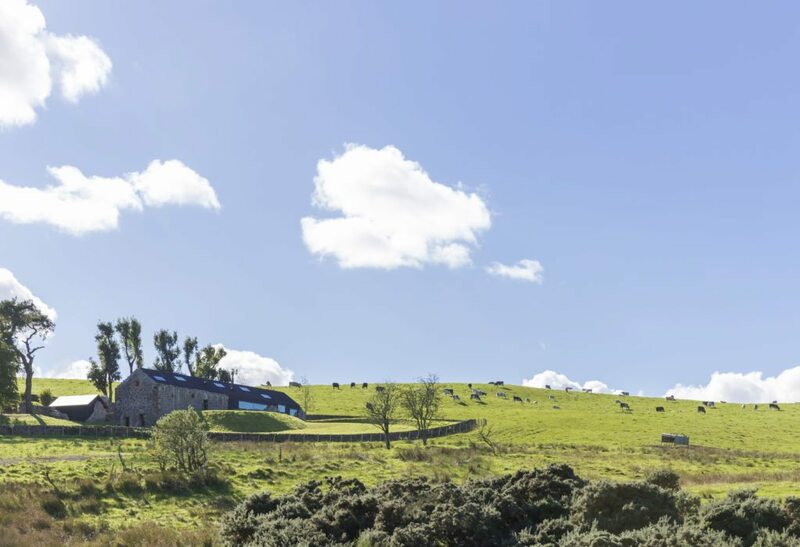 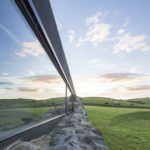 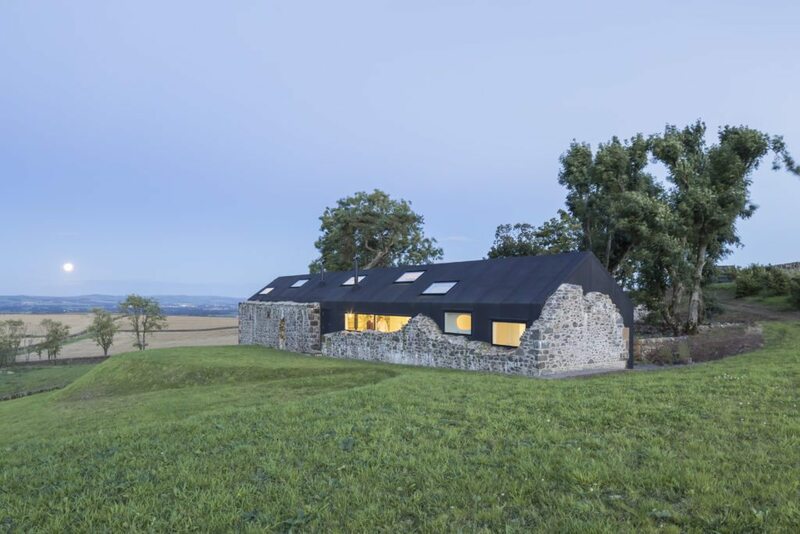 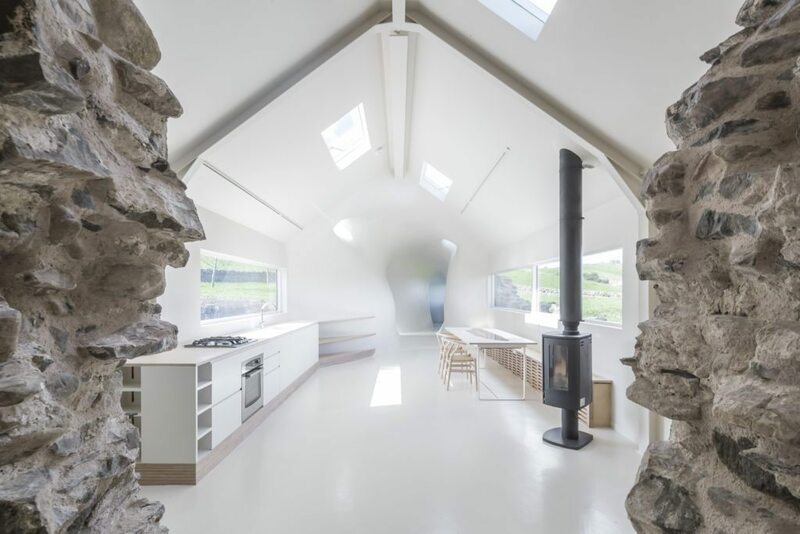 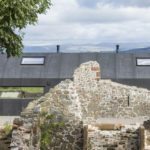 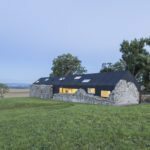 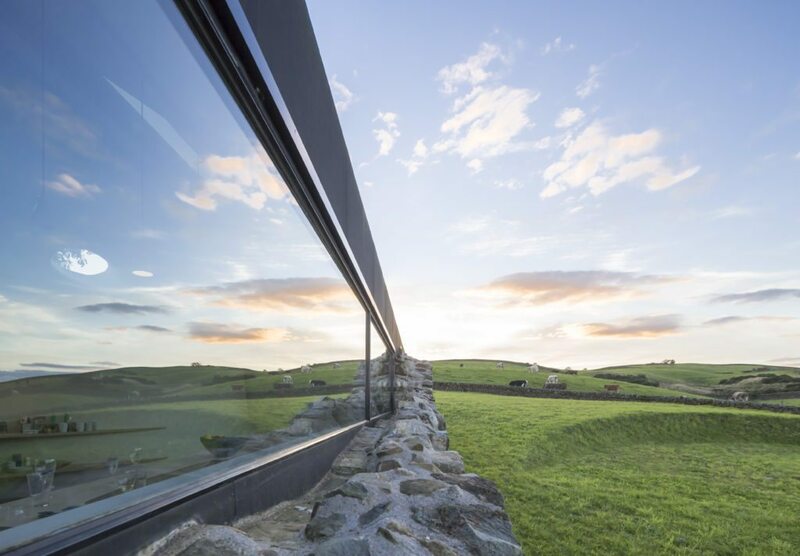 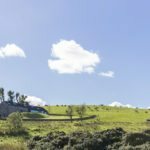 Located in the remote countryside of Dumfries, Scotland, the existing ruin had been transformed several times since the 17th century, but this time, “was conceived as passive and self-sufficient, well-insulated and using solar energy,” according to the press release. 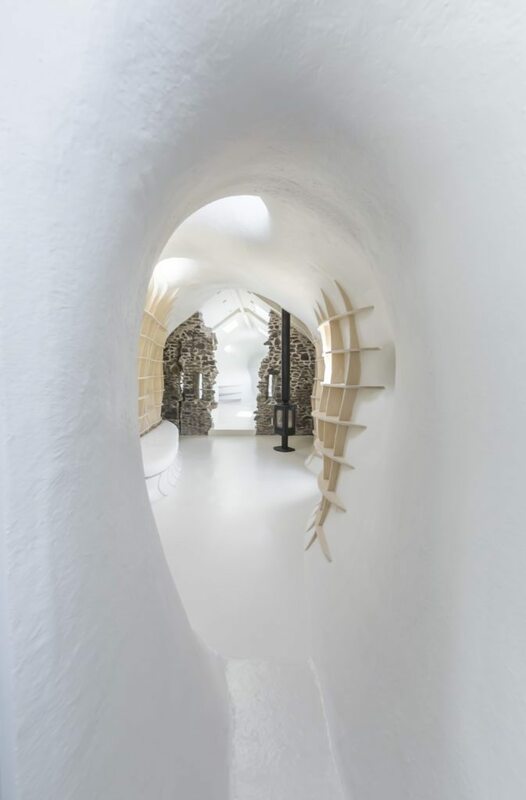 There are three layers that comprise the structure: the original stone wall, within which is a black waterproofing EPDM rubber-clad pitched-roof “envelope,” and inside that is a curvilinear interior “tube” wall system made of insulating polystyrene blocks in a gridded wooden framework covered with glass-reinforced plastic. 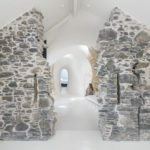 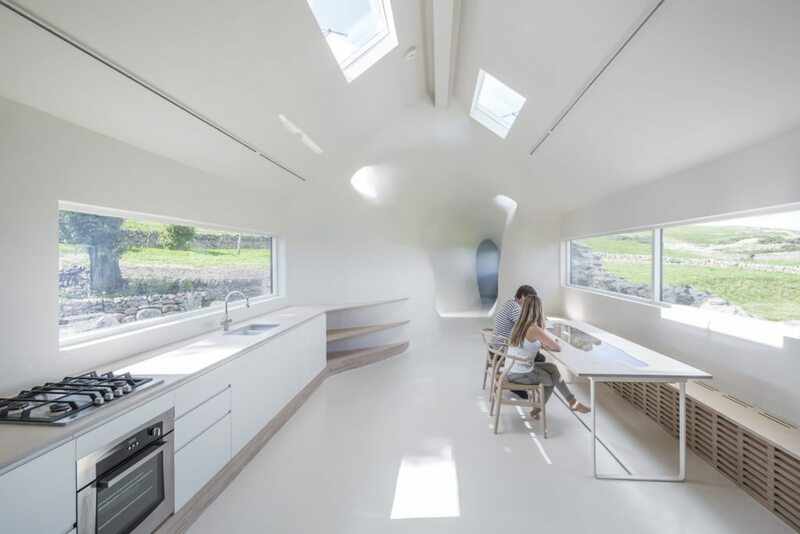 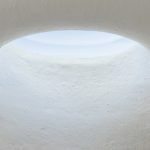 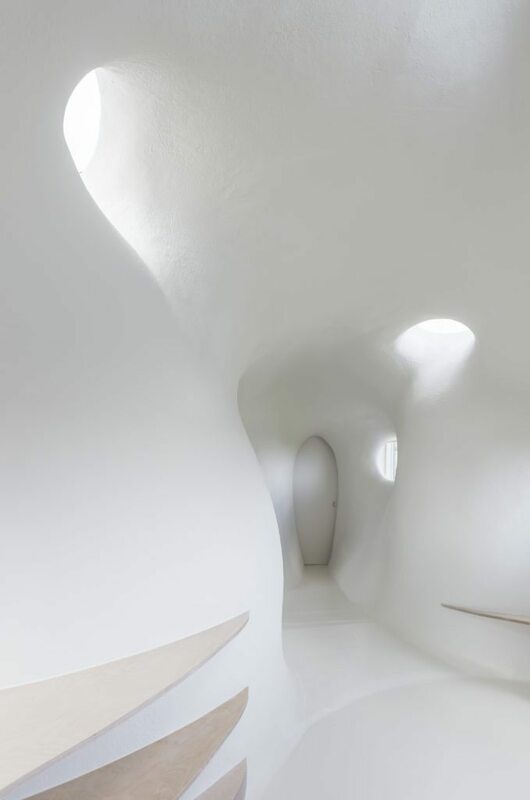 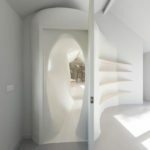 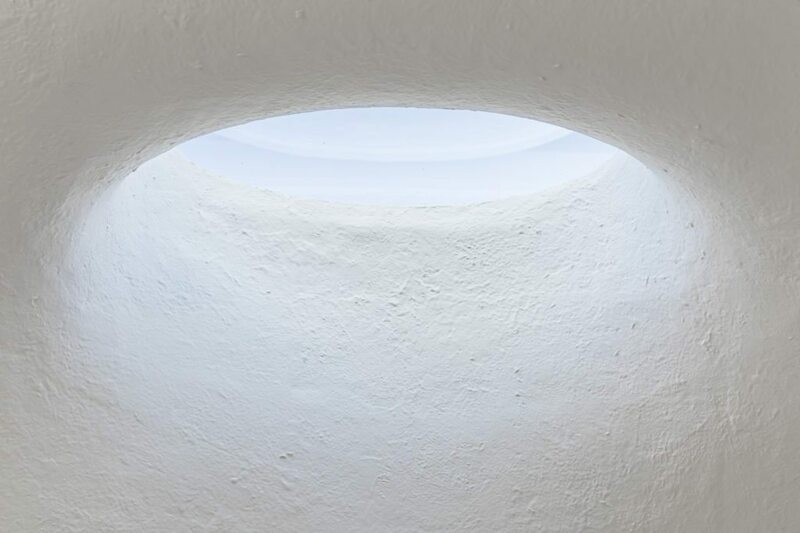 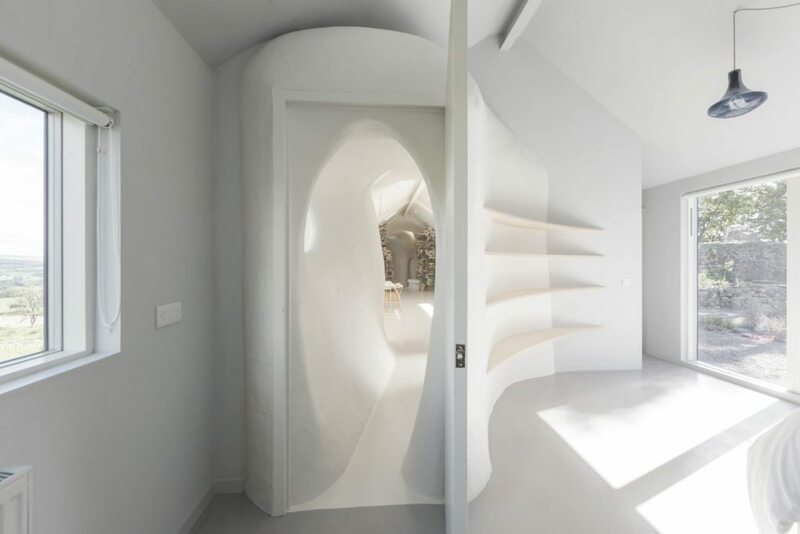 The three layers reflect “the random natural erosion of stone walls, an archetypical minimized pitched roof and a free from double curved organic surface. 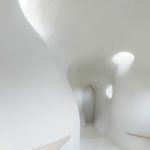 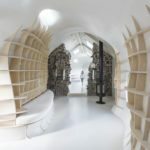 “These three layers are not designed as independent parts, rather, they take on meaning as their relationship evolves through the building’s sections,” the release states. 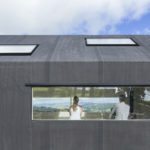 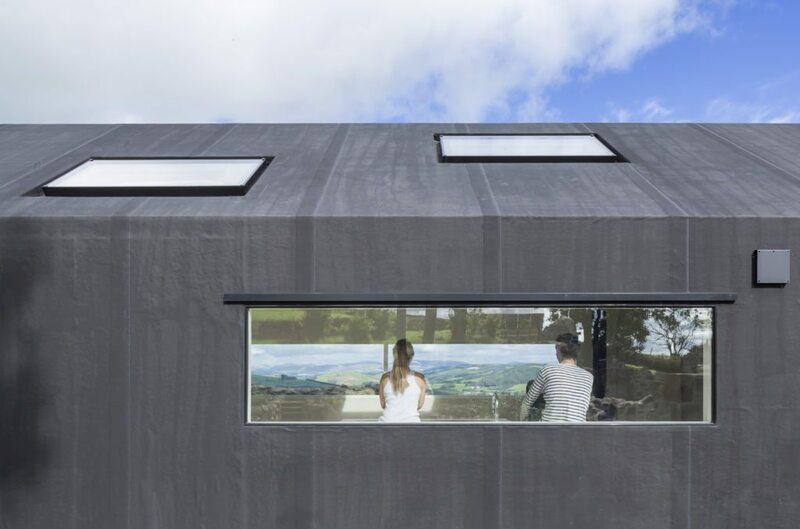 Aside from the intricate architectural design, the 590-square-foot (180 meters) home offers a unique living space with modern amenities and views northward for more than 50 miles down two valleys. 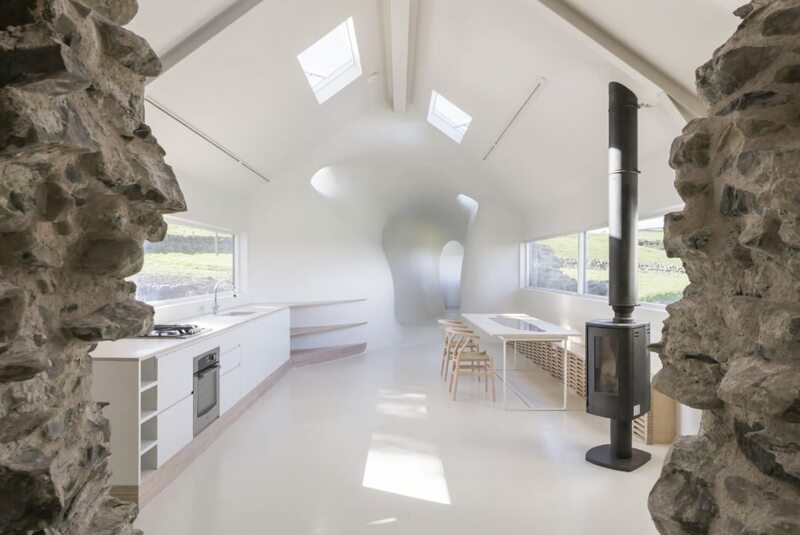 Take a look for yourself at this beautiful work of restoration.